Brainwavz is an audio specialist that aims to offer high-quality audio equipment at a competitive price. 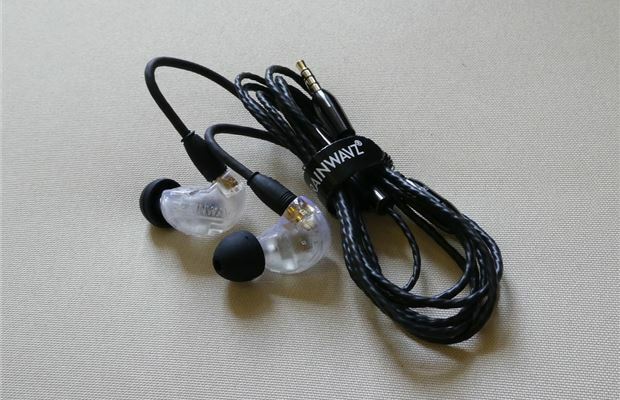 Enter, the Brainwavz B400 earphones - also known as in-ear monitors (IEM). The B400 use four balanced armature drivers to produce excellent sound at a very competitive price - £170 to be exact. This review isn't going to get too technical, but to understand just why the B400 are so good, you need to know what drivers are. Drivers refer to a thin bit of machinery inside the earphones, which convert the electrical current into sound in your ears. Balanced armature drivers are very small, which is why they’re used in IEM (as well as hearing aids). Multiple balanced armature drivers, each focused on a different part of the frequency spectrum, can be combined to get to best sound quality. The B400 are packaged very nicely, with a fantastic range of accessories. Inside the box you get the earphones with two cable attachment options; the standard cable and the mic/remote cable (both 3.5mm) - which allows you to alter the volume, pause songs and answer calls. 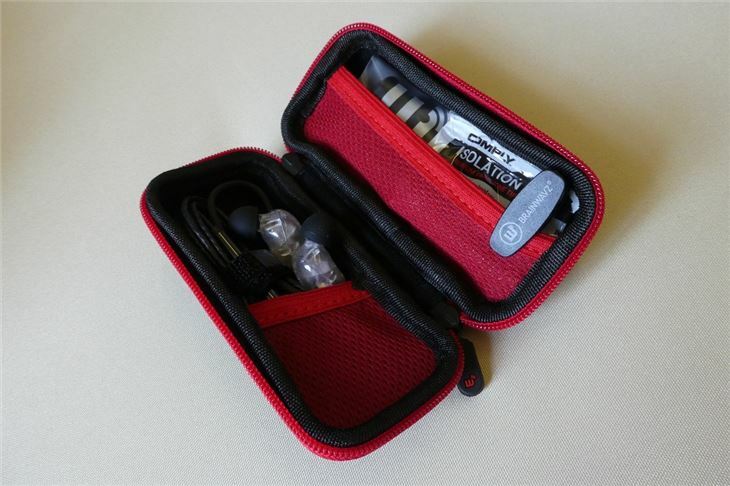 You also get a range of small, medium and large silicone earbuds – as well as a pair of Comply T-100 earbuds, which essentially act as noise cancelling memory foam to improve the quality of the sound. Included within the hard case are a cleaning kit and a shirt clip as well. Many IEM now utilise a combination of dynamic and balanced armature drivers to give a more well-bodied sound, with the balanced armatures for treble clarity and dynamic drivers for the bass. 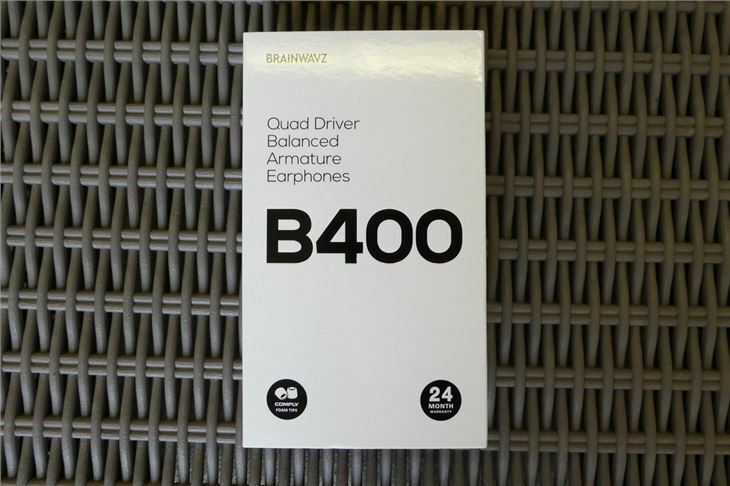 Yet, the Brainwavz B400 don't do half bad with just balanced armatures. Balanced armature drivers don't displace air to generate sound – which means they generally provide better isolation. 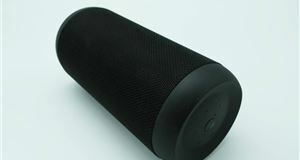 This is good news for fans of music with bass in it because it stops external noise from interfering with the low frequencies. 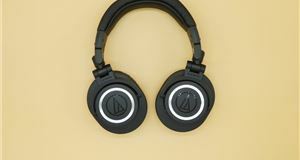 But for those who plan to listen to a lot of electronic music, which is arguably the most popular genre on the radio right now, you may find the balanced armature drivers don’t produce bass sounds as well as earphones that use dynamic drivers. However, the Brainwavz B400 don't lack the power that is sometimes characteristic of balanced earphones. The mid-range is fantastically detailed, meaning vocals are crisp. Percussion is executed well and a wide variety of music comes out astonishingly clear for the £170 these IEM will set you back. For me personally, they offer all the bass I want. In fact, the earphones feel slightly like mini subwoofers in my ears on certain songs. One of those, unexpectedly, being Coffee by Sylvan Esso (around the 15-second mark). The B400 produce fantastic sound quality from a range of different music, however, they have a few downsides. Firstly, I personally favour over-ear headphones because I often listen to music at work and have to repeatedly take them off every few minutes to speak with people. With IEM this is harder to do, especially if they have a section of wire that runs over your ear – as the B400 do. That’s personal preference mind you, but something to bear in mind if you don’t fancy faffing about trying to loop them over your ears and fit them back in every few minutes (a task that’s even harder if you have long hair the cable can get entwined with). But this fit, as well as the fact that they're lightweight, means the earphones stay put in your ears very well, even when exercising. Once in, the B400 are very comfortable. This is down to the housing being 3D-printed for a more ergonomic, ear-shaped design than most generic IEM. Our B400 use the translucent (called Stay Frosty), liquid resin housing. Additionally, the Brainwavz B400 are available in black, cosmic black (black with sparkly bits), red, blue and green. 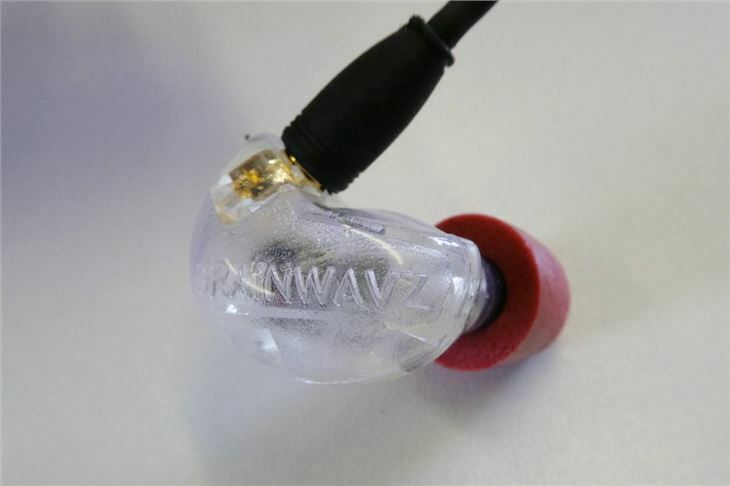 The Brainwavz B400 also use industry-standard MMCX cables, which are detachable. These extend the IEM lifespan and allow you to attach a range of other cables to improve and customise your B400 as you wish, though I found I had to yank them pretty hard to detach them. What you want from a pair of earphones/headphones will ultimately depend on what you want to listen to. Crisp, clean sound with a wide frequency range and a bit of bass are what most plebeians, like myself, generally want. While the mid-range is good, low bass obviously isn't the B400's strongest feature. So, if you want headphones that really let you hear low, thunderous bass in electronic/dance/house music - these might not be what you're looking for. 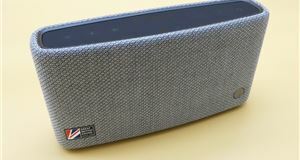 At under £200 though, there’s simply nothing else that offers such a high-quality product with such a wide soundstage, along with the bundle of accessories you get with the Brainwavz B400. 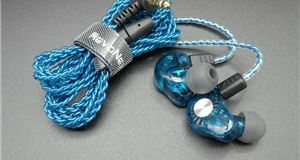 Especially considering other quad driver IEM usually range from around £250 - £600. So, despite some pitfalls, I'd argue that it's worth losing the frequencies right at the top and bottom end of the spectrum for a more expansive listening experience. You also get some peace of mind with the Brainwavz 24-month warranty, which comes as standard on all of their products.